What seemed like a nightmare for entrepreneurs in the Iberian ham sector is now becoming a reality, especially for those whose work is tied to traditional breeding and production systems. 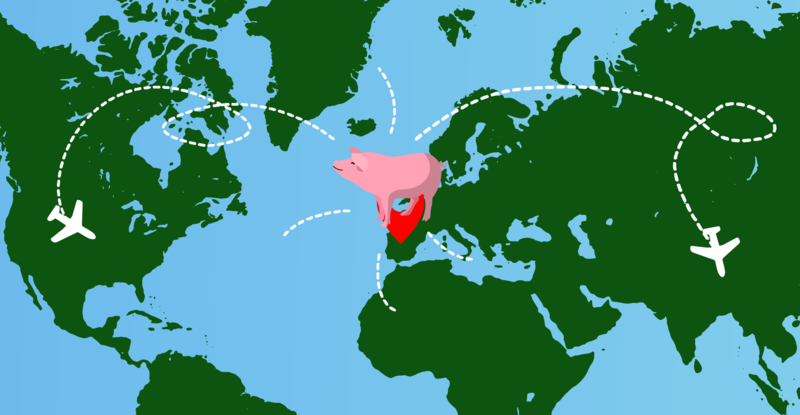 To date, there are now at least a couple companies in the United States that are involved with breedings pigs and producing pork derivatives in the USA, products that also carry the official Iberian seal. This has taken Spanish companies and designations of origin by surprise and not in nice way, which if we remember, currently include 4 classifications: Jabugo, Pedroches, Extremadura and Guijuelo. Among the well-known American companies that have recently gotten involved in the sale of Iberian products is Acornseekers and Iberian Pastures, which work with Iberian pigs that have been imported from Spain into American territory. Let's look at a few characteristics of these emerging companies, their products and the existing regulations. What is the Iberian Pastures brand? The brand called Iberian Pastures is a company that is product of the fusion of the Oriol family with White Oak Pastures, the latter company is responsible for the sale of organic meat and has its own slaughterhouses, and its animals have been certified for humane treatment and for receiving organic feed. This emerging company offers a product with a label that is contradictory in and of itself: meat from "American Iberian pigs". The entrepreneurs from the Oriol family, with a Spanish father and Turkish/American mother, established an alliance with the main producer of organic food in the USA. This collaboration outlined a plan to move pigs from six different families in Spain and evaluated creating a system that would emulate the Spanish feed and climate in American lands. It took a year to legalise the entry of pigs into the country and one of the main concerns was how the animals would react once exposed to new pathogens in the environment. 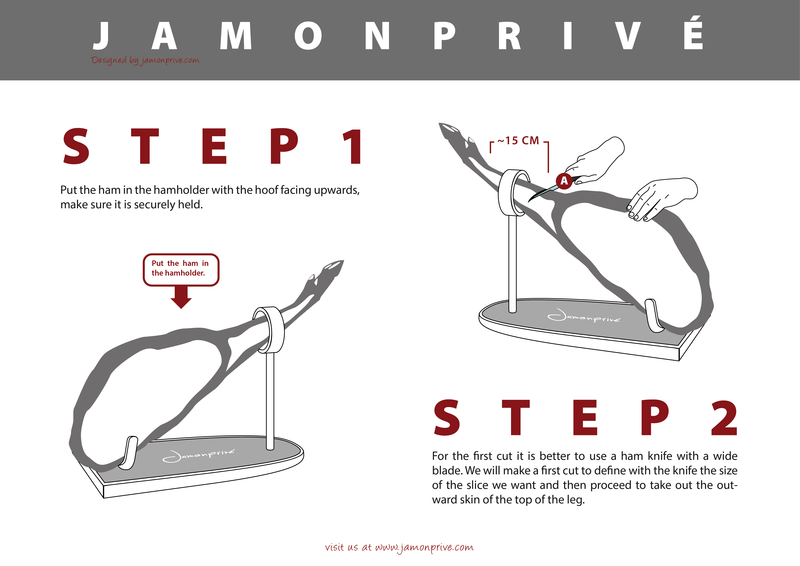 The Iberian Pastures company claims to sell products that are derived from the authentic Spanish Iberian pig, going so far as to ensure that these pigs are much purer than the Iberian pig in Spain, which is crossed with the Duroc breed of American pigs and that are characterised by growing faster and requiring less feed for their fattening. 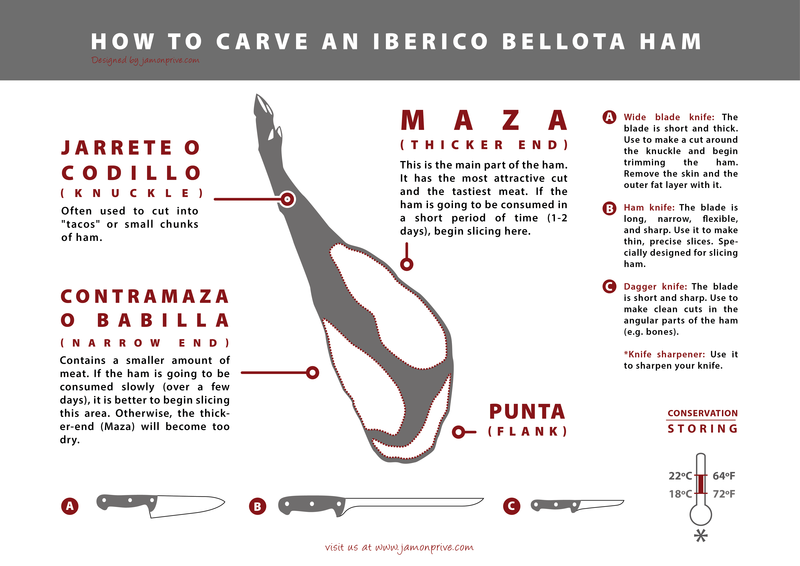 What does the law say about exporting Iberian ham? Currently, the law does not include any impediments or restrictions in the export of Iberian animals from Spain. In fact, current European legislation prevents the inclusion of any breed in the list of protected figures. The Iberian pig is not the only animal that is exported, other animals such as cattle are another example of this practice. One thing to point out is that the export of Iberian pigs allows their derived products to also be labeled with the term "Iberian" when sold on the market. Two of the four categories of Iberian ham available in the Spanish market can be exported according to the current classification: Grain-fed Iberian ham (50-75% Iberian breed, grain fed, indoors) and acorn and grain-fed Iberian ham (50-75% Iberian breed, fed with acorns and grains). However, Iberian Pastures feeds its pigs with walnuts and peanuts, as there are no food regulations for these animals that apply in the US. On the other hand, Akornseekers feeds its pigs with acorns from Texas. The remaining categories are 100% and 50-75% Iberian breed, acorn-fed. In the case of the American company Iberian Pastures, it has replaced the Spanish acorns with walnuts and peanuts, since these nuts are produced in the area where the pigs are raised. In addition, they point out that the pigs like this type of feed and that it has a higher oleic content than the acorn. On the use of the term "Iberian"
In 2016, the Spanish Ministry of Agriculture received a request to protect the term "Iberian" and reserve it for products produced within Spanish territory, however, no action was taken as a result of this request. For now, this doesn't represent a greater risk since these are small, local companies in the US that are just beginning to venture into the Iberian sector. On the other hand, if other countries with even more ambition want to begin producing Iberian products in their territory, by raising either grain/acorn fed pigs, the Spanish market could be put in a bad position. Another important point has to do with the fact that a large part of the pigs produced on Spanish land are not pure Iberian pigs, but the result of crossbreeding with the Duroc pig, which is actually American. This brings us to the question - why can't the same thing be done in other countries: import animals to cross them with national breeds? However, there are other factors at play besides breed when it comes to the viability of production. In Morocco, for example, which has thousands of hectares of meadowlands, a company tried to breed Iberian pigs and then slaughter them in Spain, however after years of trying these measures were not ultimately successful. There is a question as to what impact these small emerging American companies will have, with a production of a few hundred animals in the case of Iberian Pastures and a few thousand in the case of Akornseekers, taking into account the strict inspections that slaughterhouses must go through in order to be allowed to export Iberian meat. Additionally, what will the experience be like for new consumers who have no point of reference and try this type of product for the first time that is associated with exclusivity and high quality, but having purchased it from producers who lack the necessary experience? Taking into account the fact that the breeding times for pigs and the subsequent production of their derivatives requires about 8 to 10 years, there is enough time to develop a business plan in the Iberian pig sector. One of the most crucial steps is the curing process, and the question is: will the same product be obtained in the case of pigs that were fed with nuts other than acorns and that contain a greater proportion of oleic fatty acids? What is the maturation period required in these cases? The conditions required for these meats could be different to those established by Spanish companies. Once again, one of the main risks is the loss of new consumers in emerging markets that delve into the Iberian world with products derived from pigs that have been bred outside of Spanish territory. However, those responsible for production in the USA have guaranteed that the taste of their products is comparable to that of any Spanish Iberian ham, and that only expert tasters would be able to tell the difference. American entrepreneurs have a gigantic market to conquer. They have completely ruled out trying to compete in Spain, which is the birthplace of the Iberian product, and instead their ambition is directed at markets with great volume and potential like Asia and maybe even Latin America. Only time will tell just how successful these companies will be, along with others that join them along the way. If this emerging business really takes off, the Spanish Iberian market could be put in jeopardy.